A combination of tranquil scenery, unforgettable visits to historical treasures and the hustle and bustle of major cities, all with the comfort of luxury hotels and Yangtze cruise ship and some tantalizing dining experiences. 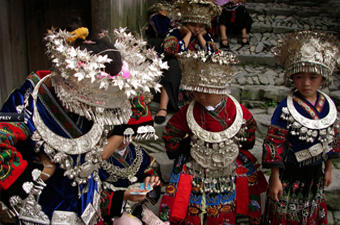 You will explore an abundance of natural beauty and fascinating local cultures. From the banks of the Bund, a cruise along the Yangtze River, the famous Giant Panda’s of Chengdu, Terracotta Warriors of Xian to Beijing and walking in the footsteps of legends along the Great Wall, this tours has highlight after highlight from start to finish. You will be met by your local guide at the airport and transferred by super fast Maglev train to your hotel. Stroll along the historic Bund and get a panoramic view over the city from the top of the Oriental Pearl TV Tower. Learn about Shanghai’s development from a small village to the preset metropolis at the History Museum at the base of the tower. In the afternoon visit the classical Yu Garden and its adjoining bazaar. Travel to the quaint canal town of Zhujiajiao this morning to wander amongst the old workshops and stone houses. Return to Shanghai for an afternoon at leisure. See a spectacular acrobatic show before dinner. Take a guided walk through the former French Quarter and have a lunch at the French style café, if time permits, before a transfer to the airport for your afternoon flight to Yichang. 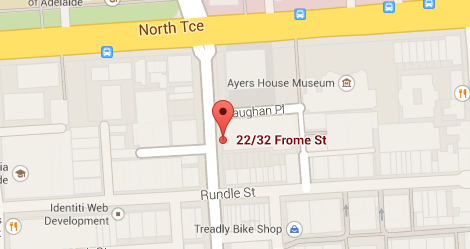 Take a tour of the city with your local guide if time permits. After dinner, transfer to the wharf to board the five star ship for a four night cruise on the mighty Yangtze River. Settle in to your cabin with and become familiar with the ship’s facilities and sailing schedule, which may differ slightly to the cruise described herein. Visit the massive Three Gorges Dam – the largest engineering project of modern times. View the complex loch systems and gain some insight to the impact of the dam project on China’s economy and people. 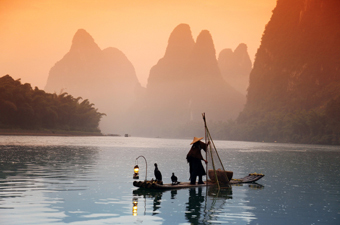 This afternoon, relax on deck as you begin cruising through the famous Three Gorges. Transfer to smaller vessels for an excursion through the Lesser Three Gorges, or, depending on the cruise schedule, the Shennong Stream. Experience river vistas of towering cliffs and tumbling waters, interspersed with glimpses of farm life and small villages. Disembark at Chongqing for a city tour that includes the Ciqikou Ancient Town and Erling Park. Then transfer to the railway station for your bullet train to Chengdu. On arrival in Chengdu, transfer to the Hotel. Morning visit to Panda Breeding Centre to learn about the efforts being made to preserve these amazing creatures. 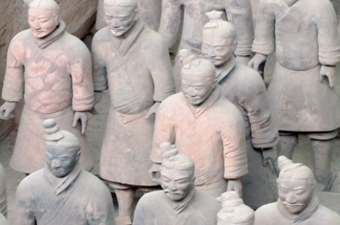 Further sightseeing includes the Jinsha Relics Museum. Transfer to the airport for your flight to Xian. On arrival transfer to your hotel. Walk on the imposing City Wall this afternoon. Today you will see another amazing sight; the Terracotta Warriors and Horses still standing in battle formation as placed 2000 years ago. Included is a full circle movie presentation providing the historical perspective for the main exhibition halls where excavation and restoration work is on going. Later visit the Big Wild Goose Pagoda and its northern square before ending the day with an Imperial Banquet and the entertaining and colourful Tang Dance Show. Visit the Grand Mosque and Muslim Quarter then transfer to Xian airport for your flight to Beijing. Upon arrival, you will be met by your local guide and transferred by private car to your hotel. Today you will visit the famous sights of Beijing including the majestic Forbidden City, Tiananmen Square, Temple of Heaven and tour the Hutongs, Beijing’s ancient, narrow streets, by rickshaw. Lunch is at Han Cang. In the evening attend a performance of the Chinese Kong Fu Show. Learn about the craft of cloisonné at a local factory before travelling north of the city to the Great Wall of China. 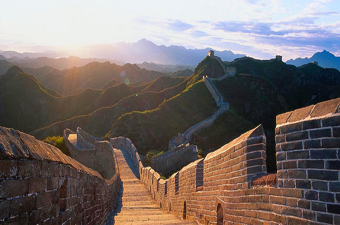 Visit the section known as Badaling where a cable car will whisk you to the top. You can walk along the wall and appreciate the scale of this remarkable structure as it snakes down valleys and along ridge lines as far as the eye can see. Back in Beijing visit the peaceful gardens and pavilions of the Summer Palace. Dinner tonight is a farewell banquet of Peking Duck at Da Dong Restaurant. 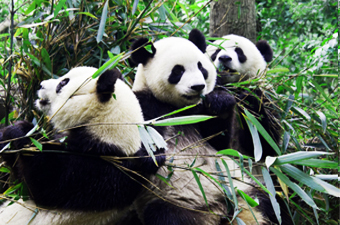 One of the few places in the world you can still see China’s wild giant pandas, Chengdu, Sichuan Province.